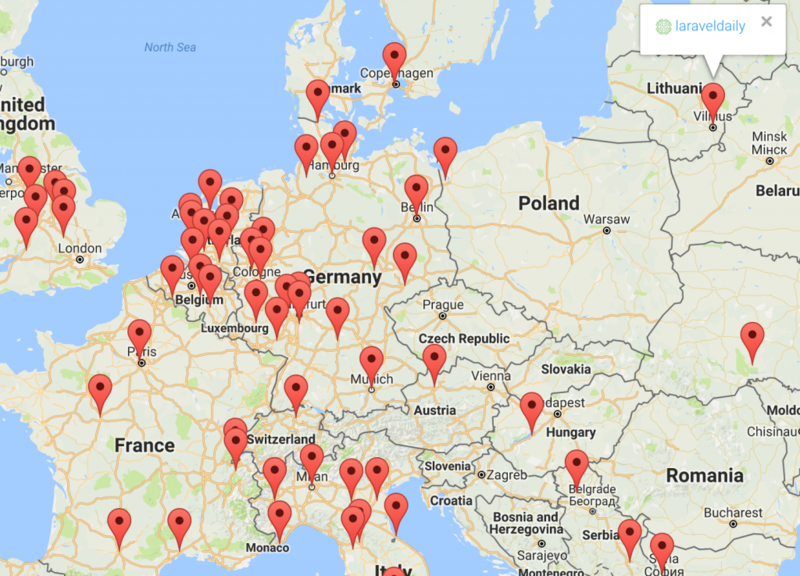 There is a new interesting project on the market – a map of developers. Started as a Laramap by Florian Wartner, now it became a broader project, presenting to you PHPMap.co! The idea is really simple – every developer can register and enter their full address which transforms them onto the map. Here’s my spot based in Lithuania – in the top-right corner. In addition to that, there are two interesting things about the project. 1. It’s open-sourced. You can view or contribute to the project on Github – I see already 4 contributors at the time of writing! 2. It’s based on Laravel 5.3. Which is an interesting thing – recently released new framework version isn’t highly adopted yet, so this is a perfect chance to view the code and see for yourself how it works. Also you can write articles there – not sure who would do that, since I wouldn’t expect too much audience on the site, but you can if you want to. In Markdown – isn’t that cool? Not much more to say about the project, except for thanking the author Florian again. Keep up the good work!